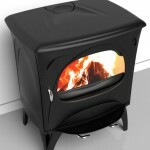 AGNI-HUTTE Wood Stove features hybrid structure to achieve higher combustion performances better than any other top brands. 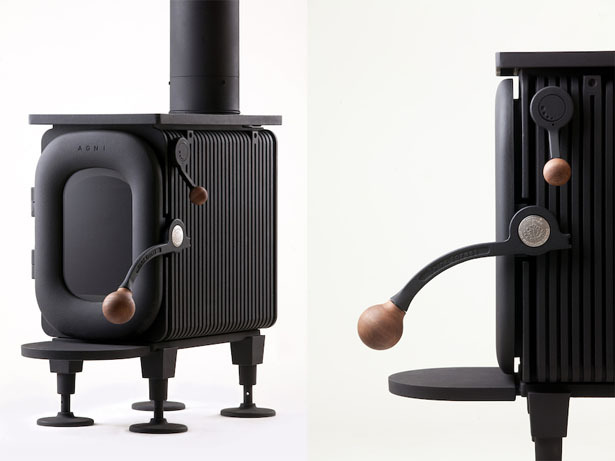 Designed by Okamoto, this wood stove has been awarded with Good Design Award 2016 where the jury observed each entry carefully to make sure a product was not only designed with beauty and aesthetic value, but also with social impact. 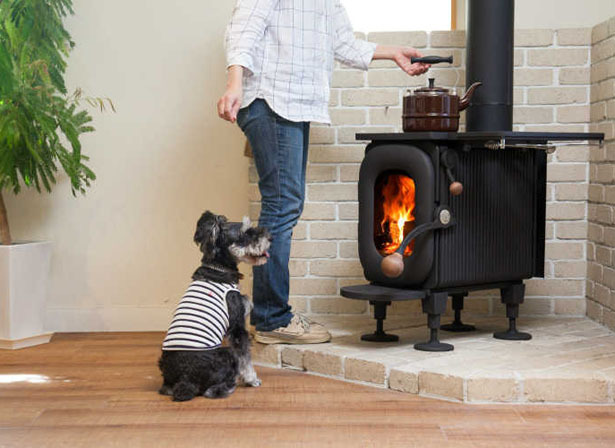 Japan has coniferous afforested areas that have become 36% of total land of Japan, this is a problem for Japan, also the use of wood stove would be preferable during natural disasters such as earthquakes or typhoons. 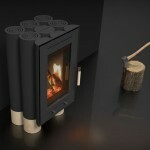 AGNI-HUTTE Wood Stove would benefit Japan with forest thinning. 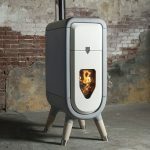 Considering only few Japanese know how to use wood stoves, the designer wanted to create user-friendly wood stove that is easy to handle and use. 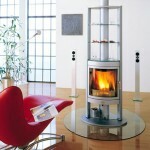 The combustion system uses heat storage plate located above the catalyst to absorb combustion gas, thus, enhancing combustion efficiency of the stove. 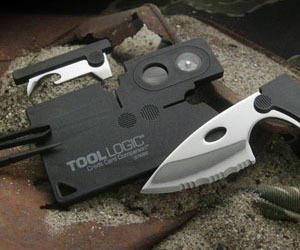 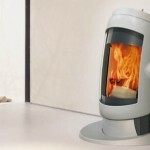 There’s warming shelf attachment that you can use to keep your coffee or food warm. 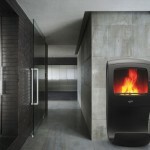 The large firebox reduces the need to refill often, a large window allows you to enjoy the dancing flames, there’s a large lever with wood knob that you can use to manipulate the flames. 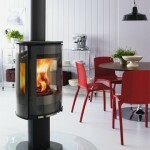 This entry was posted in Home And Kitchen, Stoves. 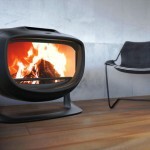 Tagged as high efficiency wood stove, modern stove with social impact, modern wood stove.